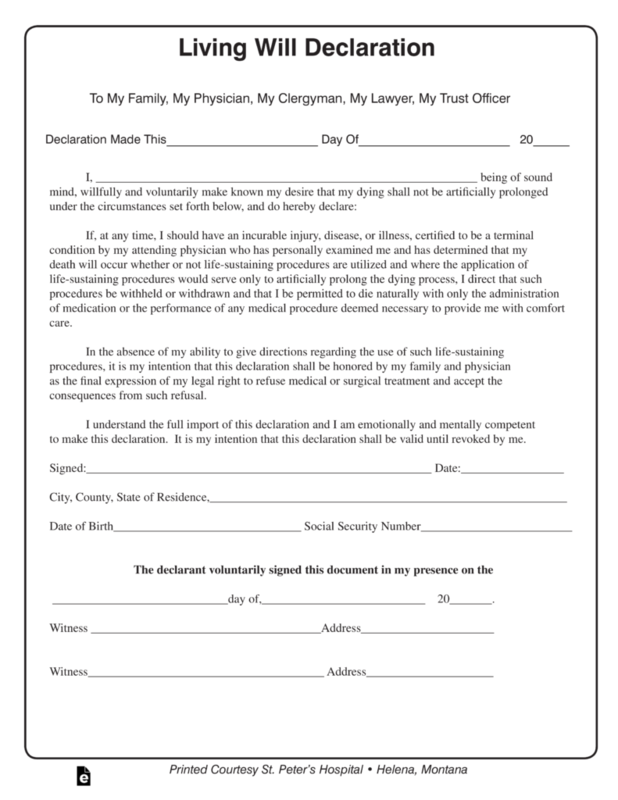 The Montana living will is a declaration that the Declarant/Principal would like to announce to all who may possibly be a part of his/her medical decision making team, understand what their wishes are for their end of life selections for medical care. This provides information with regard to how they would like their physicians to provide end of life choices. 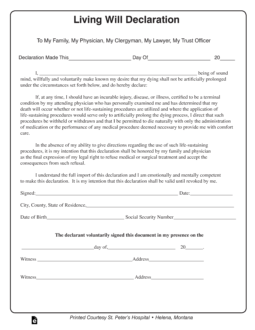 Medical Power of Attorney – Creates a relationship with a person and a family member and/or close friend to act on their behalf for health care matters.